Roy, the president of a bank, always felt his teeth were too small for his mouth, including the upper right baby canine he never lost. Despite wanting to improve his smile for some time, it was the loss of this baby tooth that finally convinced Roy it was time to make some cosmetic changes. Stories like Roy’s start off with a patient making the choice to finally improve their smile, after years of contemplation and procrastination. There are many reasons why people like Roy put off correcting their teeth. With today’s gentle and painless treatments, it seems easy. But there are a lot of people like Roy who are not proud of their smiles, yet avoiding a few hours in the dentist’s chair to fix the problem. The permanent upper right canine is impacted, making an implant impossible without major oral surgery. Roy has a very active gag-reflex, which is why he dreaded the discomfort of a dental procedure. The mere mention of the traditional impression process caused him visible anxiety and stress. Several teeth required cosmetic enhancement. Roy has sleep apnea and only uses his CPAP machine sporadically due to nightly discomfort. To avoid major surgery, Roy elected to proceed with a bridge to fill in the missing tooth and veneers across the upper front. The ability to create a digital impression was key to Roy accepting treatment. CEREC Ortho Software captured images of Roy’s full upper and lower arches. The CEREC inLab technician fabricated diagnostic casts and wax-ups for Roy’s case. Using those models, a bridge was then created for Roy. Roy was spared the invasive, awkward traditional process of holding trays in his mouth for making impressions. Roy’s bridge and veneers were fabricated at the dentists’ office, and all six restorations were placed with very minimal adjustment required. They were then bonded in place, finished and polished. This entire process occurred as Roy relaxed in the chair, supervised (with astonishment!) and gave his approval. Roy was thrilled to see the final result. Roy also had CPAP non-compliance issues. His physician approved moving him to an oral appliance to treat his sleep apnea. 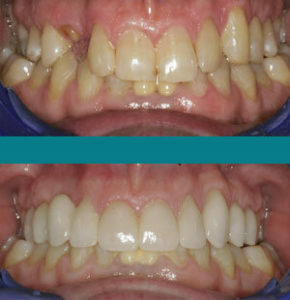 With CEREC Ortho Software, Roy’s new upper and lower arches were scanned, and that digital file was sent to an orthodontic laboratory using CEREC Connect. They fabricated an oral appliance for Roy, which he received two weeks later. Now, he is much more compliant using this device to treat his sleep apnea than with his CPAP machine! Roy’s story is typical of many success stories that happen in our office on a daily basis using the CEREC technology we recently purchased. Give us a call or schedule a visit to find out if our new digital dentistry technology can offer you a fast, one-visit, noninvasive solution to improve your smile. The case study used as an example in this blog is based on a true story by Benjamin Nemec for CEREConline.com. 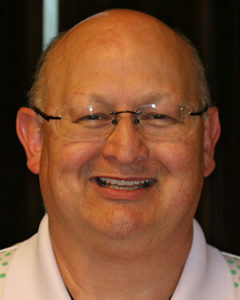 Roy’s story is similar to many cases we see and treat at New Town Dentistry. To protect our patients’ privacy we used Roy’s story, rather than an actual patient of our practice, as an example to share information about our technology.